Employee engagement is an amazing tool to keep employees motivated and performing well. But in order to reap the benefits, businesses must build a culture focused on positive employee experiences, trust, transparency, and camaraderie. The work environment needs to ensure that employees feel cared for, challenged, appreciated and respected. Once you have that going though, your talent – and your business – will flourish. Yup. I said business too. Organizations can see just as many benefits as employees when there is an effective engagement plan in place. 69% of employees indicate that they either aren’t engaged, or are actively disengaged with their work? 57% of businesses believe the biggest reason why employees commit to their work is because they are challenged and intrigued by their jobs? Disengaged employees negatively impact quality of work, productivity rates, company culture, team morale, retention rates, client experiences, employer brand, and the business’s bottom line. Employees need to feel connected and satisfied with their work in order to perform adequately and stick around long-term – saving the company time, resources, and money. 67% more likely to improve their revenue per full-time equivalent (FTE) on a year-over-year basis. 11% more likely to have a higher percentage of employees who rate themselves as highly engaged with their work on a day-to-day basis. 8% more likely to retain their first-year employees in their most recent fiscal year. The bottom line: Engagement strategies have an impact on the workforce’s performance, and it pays off for employee retention and productivity. In today’s digital workplace, returns like that can’t be overlooked. Want to learn more about the ROI of employee engagement? Read the full report from Aberdeen: An Employee-Centric Digital Workplace: From Onboarding Through Engagement and Retention. 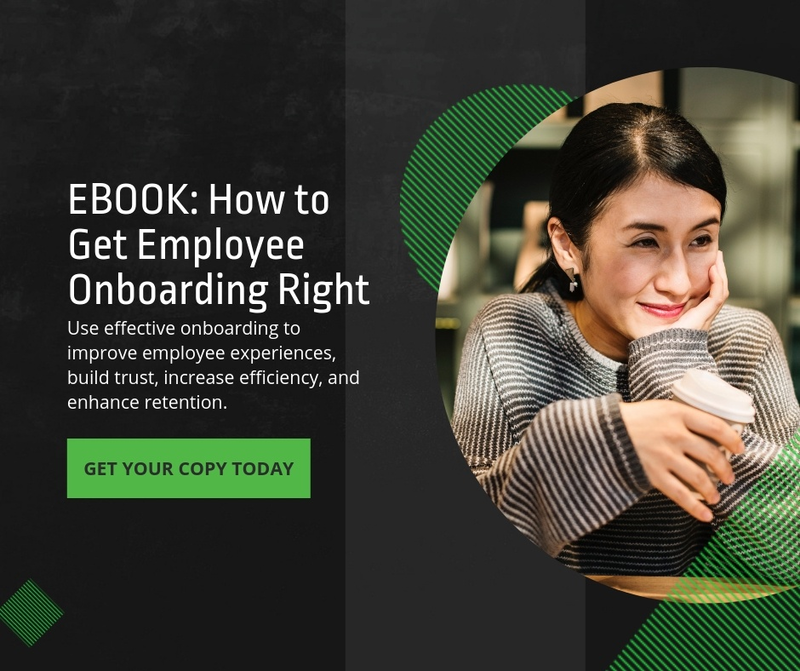 If you’re new to the Click Boarding blog, you may not be familiar with our near-obsessive belief that creating engaging experiences is the best way to retain talent. Engaged employees have a massive impact, and when employers make the effort to focus on the employee experience – they see improvements in customer satisfaction, increased retention rates, stronger employer brands, decreased costs, and growth in company revenue. Sounds nice right? If you’re ready to start seeing these results in your own organization, then take a look at these 4 ways to drive employee engagement and experience. 1. Show employees some love, and make recognition a regular thing. They’re busting their butts trying to do the best they can for your organization, and if you never recognize the effort that they put forward, then you’re missing out on the easiest- most cost-effective motivational tool out there. Take a minute. Point out the rockstars in your Slack channels, send a quick email, or look into implementing more formalized rewards/ recognition platforms. If you can, try and get everyone involved. I guarantee that your employees will perk up. Pro-tip: When providing recognition, try and be as specific as you can. While a “good job!” is nice, it doesn’t reinforce any specific behaviors. Products: If you use Slack, check out the HeyTaco! app. It’s a quick and fun way to make recognition easy. 2. Give them a path to follow. While some employees are happy doing the same thing over and over year after year, a majority of your workforce wants to see some career growth. They want to move up the ladder, learn new things, and -ideally- make some more money while still working at the company they love. So provide your employees with career paths early on in the process. Take it a step further and have managers work with employees to develop individual programs that help propel them towards their goals. For example: If you hire Jenny as a client support specialist, provide her with a roadmap showing the path to become an account manager during the onboarding process. When she walks into her first 1:1 meeting with her manager, verify that that’s the path she wants to follow and set some goals. Double back every month or so to make sure she’s on track and provide feedback.This shows that you’re invested in her success and interested in creating long-term relationships with employees – both of which will boost her engagement with the company. 3. Get the team involved when creating your master plan. If creating engaging employee experiences is your company’s goal for the year, then you’ll need to invest time and resources into building a consistent, mobile process from pre-hire to retire. Ideally, you should provide employees with the information that they care about, support them through their employee journey, and put a smile on their face. It should also be trackable and actionable for managers, HR, and other invested parties. So, before tackling this monster project, reach out to the managers and other stakeholders to determine what tools they actually need to be successful. Build the best process for your people based on their feedback, provide training, and check back in on a quarterly basis. 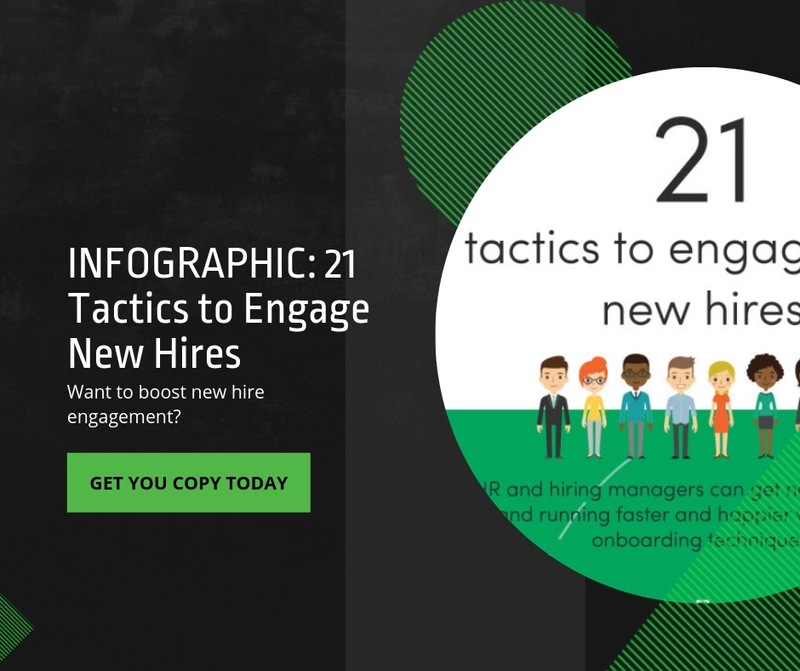 This improves the experience for new hires, current employees, and management. Pro-tip: Ignoring the needs of your team and implementing solutions because they’re “easy” rather than effective is a sure-fire way to torpedo productivity and make your team miserable. Remember- the best tools may not come from a single system. 4. Realize that employees have a HUGE impact on your brand, and do something about it. I can’t tell you how many times I’ve sat down to dinner with a friend and listened to – yet another – tirade against the injustice of a bad boss or the dumb decisions of upper management. The fact that they don’t feel comfortable bringing these concerns to anyone within the organization tells me that something big about the culture in that company. So how do you fix it? By taking preemptive action. Provide an anonymous way for employees to submit feedback. Read through their concerns and respond as best you can. This way, employees can air their grievances in a controlled environment (they can also see the actions taken based on their feedback) while you react to situations before they become a scathing review. Pro-tip: Be as open and as transparent as you can during this process. It will help establish trust between employer and employee – which goes a long way when it comes to building lasting relationships and driving engagement. These four tips will help get employees excited to come to work, provide them with the chance to grow with your company, introduce relevant programs and structure to the employee lifecycle, and make you more aware of the impact employee experience has on a business while improving your reputation and brand.